It’s never going to be easy to become a great golfer if you’re spending time on the links using the wrong clubs. As a matter of fact, if you have old, worn-out, shoddy clubs, it’s actually going to cripple your handicap and make you appear to be a much worse golfer than you really are. So if you’re golfing with old and outdated clubs, it’s time to step up and make a change. It’s time to upgrade to top-of-the-line Cleveland Golf Clubs. In an effort to help you see exactly which phenomenal Cleveland golf clubs are currently available, we’re going to share the names of some of the top clubs currently being offered on their website and in retail stores all across the nation. Pay close attention to the descriptions that we share with you and you’ll be able to discover which clubs are going to be perfectly suited to meet your needs. When all is said and done, we just want you to become a better golfer. We want you to enjoy your time out on the course whenever you decide to play, and when you have amazing Cleveland golf clubs in your bag, you can’t help but become a much better golfer because you’re finally using the right equipment to help you put the ball in the hole while being under par more often than not. With that said, let’s now take a look at some of the best and brightest Cleveland golf clubs currently available today. Prepare to be wowed and amazed at some of these phenomenal clubs that are just dying for you to take them home. This bladed men’s sand wedge comes with a number of new features including an ultra-durable black satin finish. 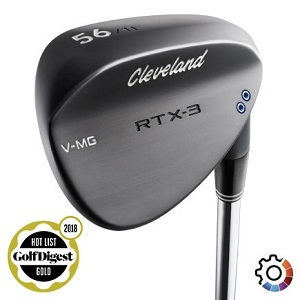 The finish on the club was specifically designed to last longer than the previous black finish on other Cleveland Golf Wedges, which makes it a lot more attractive when using it out on the links. This club is very popular because it has patent pending feel balancing technology, the new Rotex was specifically designed to help increase speed, it has a new loft specific Rotex micro milling pattern to increase friction, and the club can specifically help you increase versatility, improve your all-around play capabilities, and it’s perfect for anyone who is left-handed or right-handed. This club currently retails for under $130. Females who love to golf are going to be completely impressed with the Cleveland CBX wedge specifically designed to meet their needs. This club is lightweight, forgiving, and it’s perfect for those who like to use cavity back irons since it will make it much easier to get the ball a lot closer to the hole. Whether you’re left-handed or right-handed doesn’t matter, because this club was designed for everyone. All in all, by using this cavity back wedge you’ll experience forgiveness in your short game. Plus, it’s designed to help you maintain versatility and you can use the Rotex face technology to spin the ball like the pros. 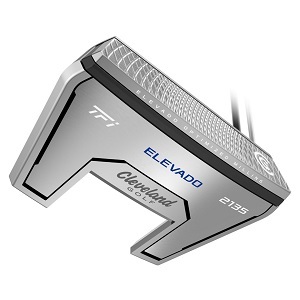 This men’s Cleveland Golf Putter is definitely worth your while because it will seriously help you improve your short game. This putter is revolutionary in nature because it uses alignment technologies that will help you improve your performance overall while providing a revolutionary feel like you’ve never noticed before. You’ll be able to stroke putts much more consistently once you begin using this club on a regular basis. It’s only designed for right-handers, and it currently retails for under $180. All in all, some of the main features of this club include the optimized face milling, the soft polymer TPU insert, and the high contrast 2135 raised sight line. It’s these additional features that make this putter much more special and forgiving than many of the other putters currently available on the market today. This putter was designed specifically with the ladies in mind, and it currently retails for under $160. The great thing about the particular technology used in this TFI face is that golfers have a great feel because it’s a milled putter and it has all of the forgiveness and consistency that you’d ever want. On the other side of the coin, it’s also combined with something called dual axis alignment, which gives golfers the ability to lineup their shots perfectly without having to sacrifice anything from the feel the club. If you’re a right-handed golfer, you’re definitely going to love the TFI Halo putter from Cleveland golf. It features the TFI smart square which is very accurate and uses two parallel lines that extend from the middle of the face. These lines will frame the ball exactly where you need it to be so you can hit it directly down the line and never have to worry about making alignment mistakes again. This club is faster to align, it’s much more reliable, and it’s even 23% more accurate with every putt. 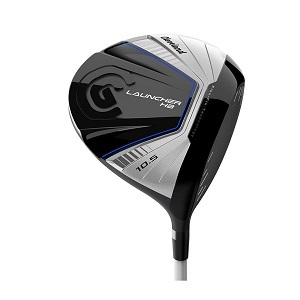 If you’re looking for the perfect driver, look no further than the Launcher HB from Cleveland golf. This club was literally designed and engineered to be ultra lightweight while still being optimized to it long, high, and incredibly straight drives. This driver uses flex fit technology to unlock absurdly fast ball speed, the launcher cup face makes it the most popular driver Cleveland has ever sold, and the hibore crown was reinvented to make sure golfers get more distance from their swing. All in all, men are going to absolutely love this driver because they’ll be able to hit the ball so hard that they’ll feel like they’re Tiger Woods. Women are completely amazed with this incredible driver, because it’s near-perfect and can really help you get more distance from your swing. Since this club is so lightweight, it’s really easy to hit the ball a great distance without having to struggle to put so much force behind your shot. When you use this club, you’re drives become much straighter, much higher, and also much longer, and you’re going to be incredibly impressed with the distances you achieve once you begin using it on a regular basis. So, if you’re looking for an ultralight club with flex fit technology and plan to hit the ball for serious distance, then you’re in luck because you found the driver you’ve always been looking for and it’s made by Cleveland golf. Guys are going to truly love these amazing Cleveland Golf Fairway Woods for a wide range of reasons. For starters, the evolutionary technology used in these clubs makes it easier than ever to have exceptional control, speed, and distance when out on the links. These clubs retail for for a little over $200 each, so you better be prepared to invest in your golf game because they are completely worth it as you are about to learn once you start using them. Just like the clubs for men, the version designed for women cost a little over $200 each, and they contain the same technology that will certainly help you improve your distance, speed, and control overall. The great thing about these clubs is that they are so lightweight that it’s like you’re swinging air. And with the fast ball speed and the reinvented hibore crown, it’s going to be tough to find a set of Fairway Woods that can top this incredible golf club offering from Cleveland. If you’re looking to get a great set of hybrid clubs, then you guys should look into the incredible set being offered by Cleveland golf. These clubs each retail for under $200, and they are ultralight, make it easy to hit from a low center of gravity, and make the ball fly higher in the air which will help you certainly get greater speed and distance. At the end of the day, one simple way to improve your golf game is to get a great set of golf clubs. That’s why the Launcher HB Hybrid clubs are definitely a worthy investment that you should seriously consider if you’re looking to up your golf game. 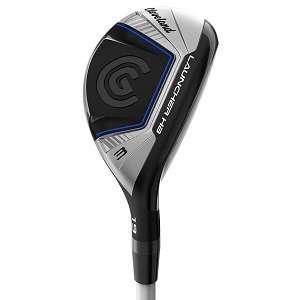 The Launcher HB Hybrid golf clubs for women by Cleveland golf are exceptional in style, design, and their ability to hit the ball much further, faster, and with complete control. You can use these clubs whether you are right-handed or left-handed, and the lightweight feel makes it very easy to swing since it’s literally one of the lightest clubs you’ll ever use. The extra mass is low and deep, which means you’ll be able to hit the ball a lot higher and in turn you can hit a lot farther as well. 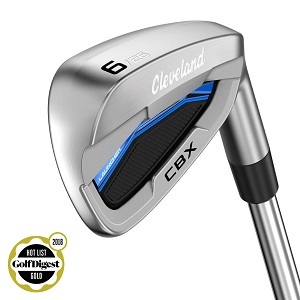 As far as Cleveland Golf Irons go, the new Launcher CBX clubs from Cleveland golf are definitely ones you need to begin paying attention to quickly. This set of clubs contains tour zip grooves that help you hit the ball for maximum distance with serious accuracy. It has a V-shaped sole and a cup face design that will also help you improve your distance and control. Since the long irons contain a low profile and a thicker top line, you’ll be able to hit for maximum distance a lot easier with this club than many other options. The short irons, on the other hand, have a thin top line and a compact shape. This particular design is perfect for those who are looking to gain greater levels of control with their swing. Just like their male counterparts, these clubs are definitely desired by golf professionals, novices, and pure rookies alike. They definitely take the cake because the laser milling and tour zip grooves make it much easier to control your hand when swinging the club. The shaping is progressive which helps you gain greater distance and control, and the cup face also adds forgiveness to your distance, so you’ll never have to worry about hitting a bad shot because these irons are very forgiving. These irons were designed with forgiveness in mind. As hybrids, they’ll help you hit the ball further, straighter, and much higher and it will happen as soon as you start using these clubs on a regular basis. From now on, you’ll prefer Launcher HB Irons from Cleveland golf because the weight is low and deep, so it makes it simple to launch the ball much higher effortlessly, but it also can land on the green very softly at the same time. It contains high-strength steel inserts that make it easier than ever to launch the ball longer and further, and the new internal ribs will improve the sound, make the club feel better, and it’s even possible to customize these clubs to your liking. If you thought the Launcher HB Irons were only available for men, think again, because they also have these wonderful clubs available for women too. With all the same features mentioned above, you’ll feel good using these clubs because it’s so much easier to launch the ball high in the air even though you’ll place it softly on the green. And you can do this without having to use additional strength since the low center of gravity of the club is so much more advanced than traditional iron designs. All in all, the high-strength steel insert, new improved ribs, and hollow construction making these irons some of the best that money can buy. At the end of the day, there aren’t too many ways to effectively improve your golf game. First off, you have to begin to practice regularly and do it as often as you can. But maybe even more important than that, you need to have the right clubs that’ll make it easier than ever to become an expert golfer. Cleveland golf has you covered, so visit their website and order these amazing clubs as soon as possible. We hope you enjoyed our Cleveland Golf Club Reviews.